By lavender at May. 28. 2017. We mentioned that sweet autumn clematis blooms on new wood and should be pruned in the spring or late winter to a height of one foot above the ground. There are other rules for different species of clematis. When they are pruned and how they are pruned frequently depends on the time of year that they bloom. You can always take the do nothing approach to clematis and the results will probably not be disastrous. 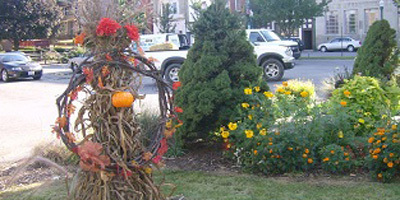 Pruning keeps the vine within reasonable size so that it doesn’t pull down its supporting structure. It also removes older wood that blooms poorly. 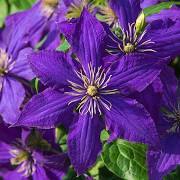 In a number of types of clematis the blooms will be concentrated on the top of the plant if it isn’t pruned. Pruning distributes the flowers more evenly. It also tends to reduce disease by opening the plant to air and sunlight. Removing old, possibly decaying wood, also improves the health of the plant. There are three general types of clematis and they are pruned at different times of the year. Type one are the spring blooming clematis. They are pruned after they bloom. These vines produce their buds during the summer and carry them through the winter. Pruning them after they bloom gives them time to produce those buds. 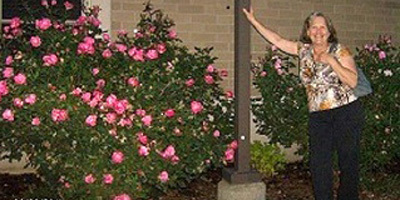 If they are pruned during the winter of before they bloom the flower buds are removed and they will not bloom that year. Get rid of all the really old wood that may no longer be producing buds and proceed to cut back to control size and stimulate the production of healthy new shoots. The second type of clematis are those that bloom in the late spring or early summer and then bloom again later in the summer. If they have more blooms in the spring they are blooming mostly on old wood. if the second flush of blooms is more prolific they are blooming mostly on new wood. This knowledge can help you decide when to prune. There are a number of approaches you can take to pruning these vines. The simplest is to resign yourself to losing one year of either spring or summer blooms. Either cut the plant back by 50% or so in the winter and lose the spring blooms or wait until the plant blooms, cut it back and probably lose the later blooms. This doesn’t have to be done every year so there are years when you will have both sets of blooms The alternate method is more tedious. If it is possible to separate out the stems and prune lightly in the spring as the leaves start to come out or in late winter. Later after the first blooming those stems that produced flowers may be cut back more severely. Another method is to simply cut the vine back to a foot or so above the ground and let it regrow. This sacrifices an entire year of blooms but it need not be done frequently. The third type of clematis bloom late in summer early fall. These are plants that bloom on new wood. 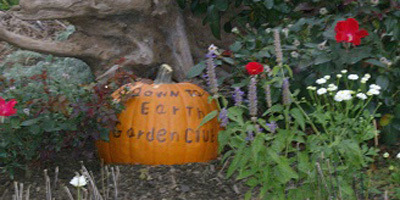 Autumn clematis is an example of the late bloomers. These clematis should be pruned in late winter or early spring. They may be cut severely back at this time. This give the vine the opportunity to produce many new shoots throughout the summer. These new shoots are the where the flower buds will form. Allowing this type of clematis to continue to grow without pruning may result in the proliferation of old wood that does not produce flower buds. Blooms in spring, prune right after blooming. Blooms in late summer, prune late winter or early spring. Blooms twice in spring and summer, prune shoots separately or decide which set of blooms you wish to forgo and prune accordingly.